Almar Building and Remodeling is ready and able to serve you with any of your remodeling needs! 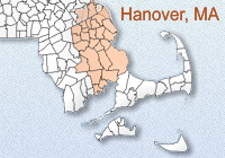 Our family has been working closely with homeowner's on the South Shore for over 53 years. We know the area & the unique needs of south shore homeowners. A management team that's always working to learn and improve, skilled in house carpenters and mechanical subcontractors, and our Alliance with Architects, Interior Decorators and Painters provide the best team of professionals on the south shore working together. Email, Site Visits, Phone Updates, Clear and detailed scopes of work, Project Information Kits - which include all of the information you'll need to prepare for your project. We want to provide our clients with the best project at a reasonable price. We try to be honest and fair with all of our information and recommendations. We know that the best Advise we can give is what we would do one our own home.